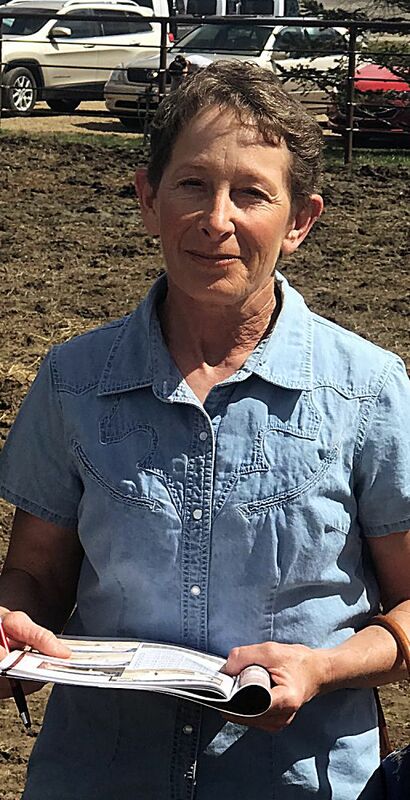 Thiessens’s Regency Acres is a solid rancher seedstock program whose Angus bulls have found strong favor with cowmen from across the region. 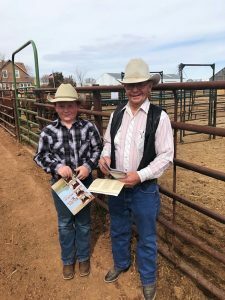 This growing program has established its priorities with maternal performance, quality, and doing good business with ranchers. 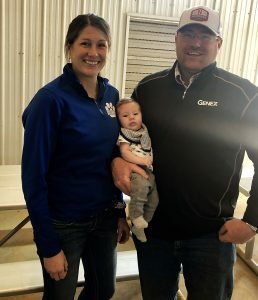 A family outfit headquartered out of Lambert, Montana, Russ and Jill Thiessen and their family presented their annual bull sale at Sidney (Montana) Livestock Market Center. 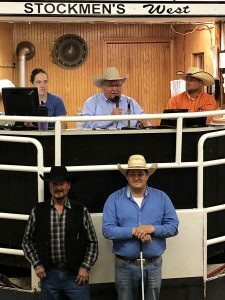 Their program has developed a strong following among commercial cattlemen, and they dominated the crowd at ringside with their competitive bidding. 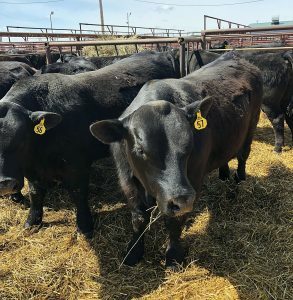 Thiessen’s have built their herd upon proven Angus Sire Evaluation leaders, emphasizing the mother cow traits, as well as growth performance. There were plenty of calving ease bulls to choose from, and the performance and ultrasound data were presented in the catalog. W 60, and MILK 25. He had a 15 sq. in. rib eye to ratio 121. He was purchased by Bar JV Angus, Fairview, Mont., at $19,500. Selling for $10,500 was Lot 20, RA Superior D37, another son of B Bar Superior 382. This bull hit the ground at 71 pounds, weaned at 732 pounds and reached a yearling weight of 1170 pounds. With a 14.5 sq. in. rib eye, he had EPDs of CED 4, BW 1, WW 63, YW 97, and MILK 27. His new owner is Gary Tescher, Sidney, Mont. Lot 50 was another bull that commanded much attention. Sired by B Bar Superior 382, he was out of a daughter of Sitz Uncommon, going back to sitz Upward 307R. Only 59 pounds at birth, this 5-star calving ease bull weaned at 714 pounds to ratio 109. His EPDs were CED 9, BW -1.4, WW 63, YW 101, and MILK 26. Eddie Vaira, Lambert, Mont., was the new owner with his final bid of $9,500. There were five bulls bringing $9,000 each. Ted Quade, Broadus, Mont., got Lot 1, a son of RA Uncommon B67, and out of a daughter of Vermilion Nebraska L095. His mother had a weaning ratio of 108 and a yearling ratio of 107 on ten calves. This 5-star calving ease bull was 66 pounds at birth, weaned at 740 pounds, and grew to a yearling weight of 1166 pounds. He had all the right numbers, including EPDs of CED 11, BW -2.6, WW 58, YW 91, and MILK 31. 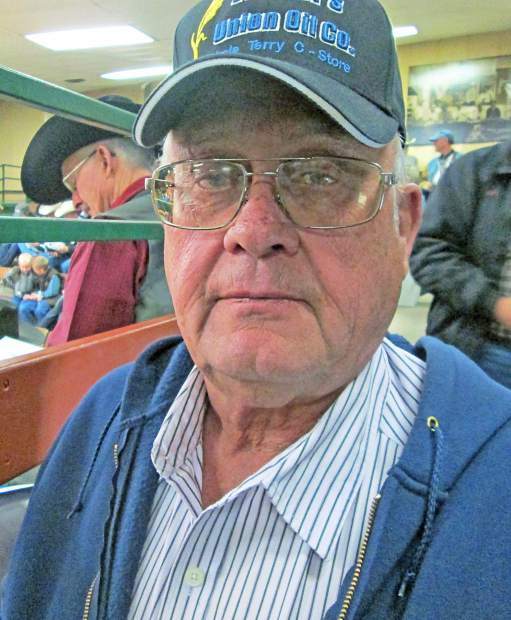 Jim Cross, Alexander, North Dakota, selected Lots 9 and 35 at $9,000 each. Lot 9 was sired by RA Regency B93 and out of a daughter of Vermilion Nebraska L095. Born at 73 pounds, he weaned at 716 pounds to ratio 109, and attained a yearling weight of 1266 pounds to ratio 114. With a 13.2 sq. in. rib eye, his EPDs were CED 9, BW 0, WW 54, YW 96, and MILK 22. Lot 35 was sired by B Bar Superior 382 and out of a daughter of Sitz Uncommon. This 5-star calving ease bull was born at 70 pounds, weaned at 684 pounds, and had a yearling weight of 1113 pounds. His EPDs were CED 9, BW -1, WW 58, YW 94, and MILK 26. Lot 5 went home with CM Coffee, Miles City, Mont., at $9,000. Here was a bull sired by RA Regency B93 and out of a daughter of Sitz RLS Alliance 7164. Born at 80 pounds, he weaned at 700 pounds to ratio 107.